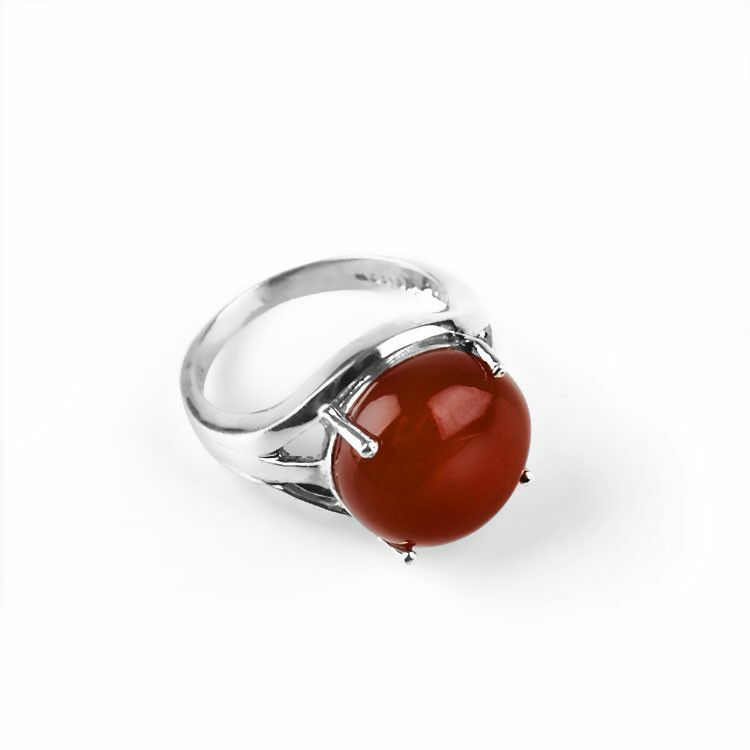 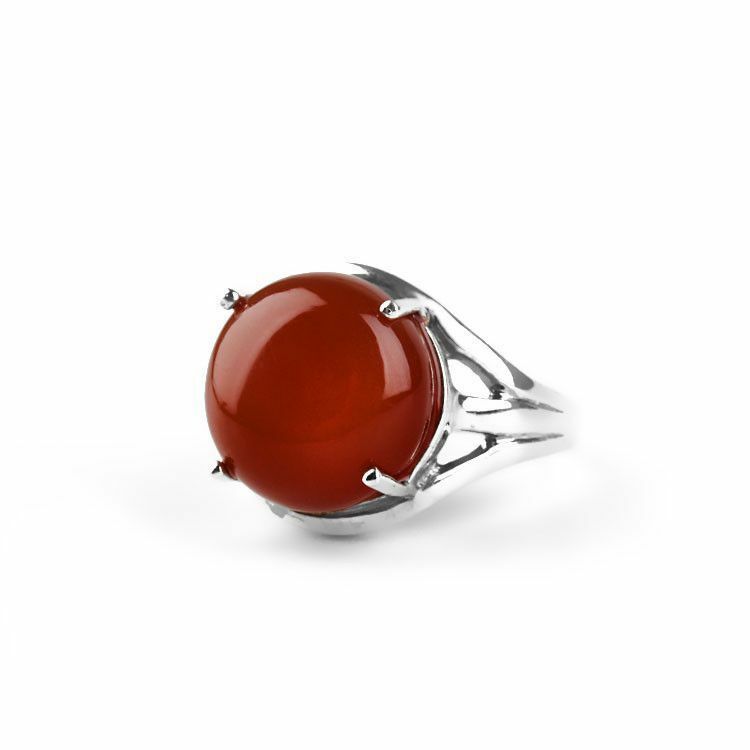 This elegant ring showcases a natural, polished Carnelian gemstone (About 1/2" in diameter) in a four prong sterling silver setting. 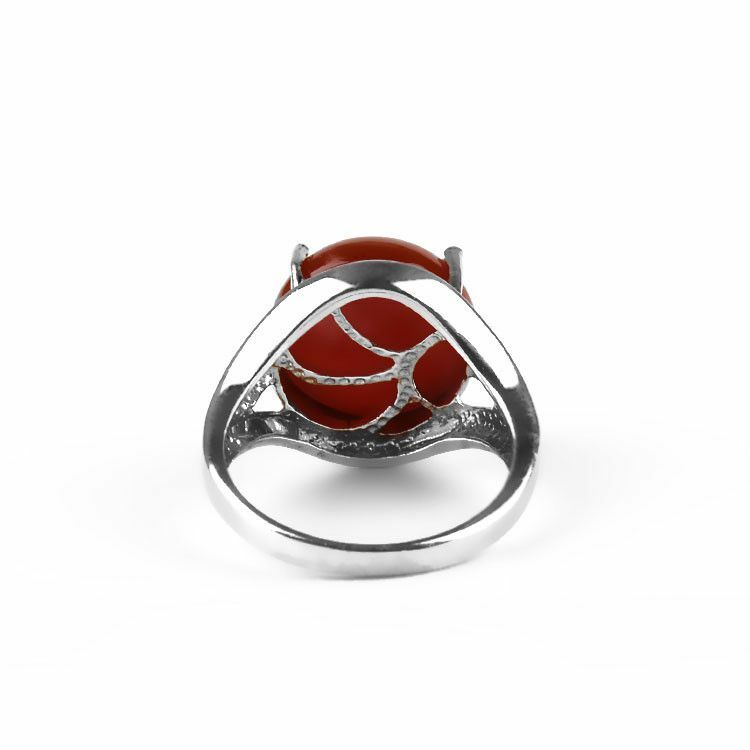 This high setting ring sits about 5/16" off the finger. 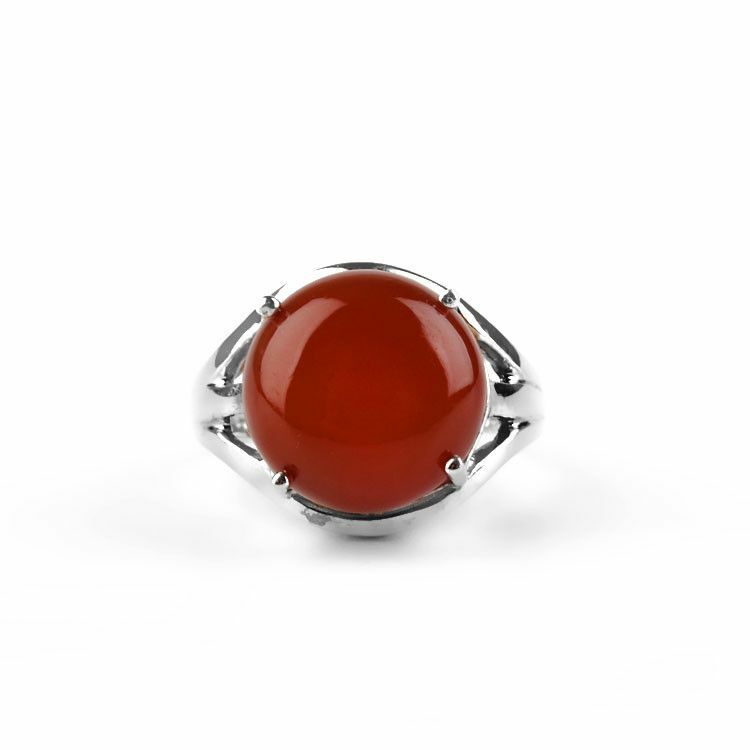 Truly an exquisite gemstone ring!